Home or Comercial Roof Inspections! 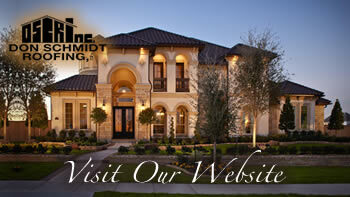 Home » Don Schmidt Roofing Blog » Home or Comercial Roof Inspections! When you need your roof inspected, whether it be for your business or your home,call us first at 407.892.9884 or contact us online at www.DonSchmidtRoofing.com. We are a local family owned business serving central Florida since 1988 and an Osceola county resident since 1959.